Every console launch needs its own spectacular exclusive and Xbox One's Ryse: Son of Rome provides exactly that – it's a stunning spectacle and contains an uncivilised, barbaric world to explore, a million miles away from the standard identikit first-person shooter. This is history writ large with a savage, bloody sword and has you following the eagles in the guise of Marius Titus, a young Roman legionary. Witnessing the slaughter of his family at the hands of barbarian marauders, Marius seeks revenge in the haunted mist-shrouded isles of Britannia, rising from raw recruit through seasoned veteran to battle-hardened general as he serves Rome in a tale of blood, honour and retribution which ultimately leads back to the eternal city. Combat, naturally plays a major role in this soldier's tale, but Ryse is no simple button masher and requires skill and timing to unleash the deadly moves that make Marius such a killing machine. Ryse's combat truly earns the title of visceral: limbs go flying, arterial blood sprays the screen, but Marius also has to block and parry to maintain the fighting flow, before setting up the brutal execution moves to finish his foes. As Marius rises up the ranks to lead the legions, it allows you to marshal your men for epic assaults and sieges or rally your troops in the face of fierce barbarian opposition. Ryse's visuals certainly show that a new generation of gaming has truly arrived and every glint of armour, roll of cloth and lighting effect is rendered in beautiful detail, which is nothing short of stunning. However, with developer Crytek teaming up with Andy Serkis' Imaginarium studio, it's able to deliver emotional depth to both character and performance, heralding the start of true next generation story-telling. 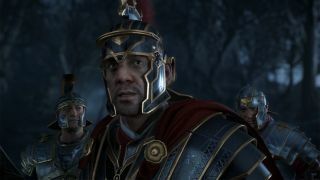 After you've conquered Ryse's single-player game, there are still plenty of new worlds to conquer in the game's Gladiator mode. This sees you team up with a buddy in a horde-mode style challenge to survive successive waves of enemies and lethal traps in the deadly ever-changing arena of the Colosseum. Bold, bloody and beautiful, Ryse Son of Rome is an Xbox One exclusive and is available now.